Stored procedures allows you to expose pre defined queries as an api allowing users to consume them in a much faster way. Note: <DSS_HOME> is the root folder of your unpacked DSS server. 1.) 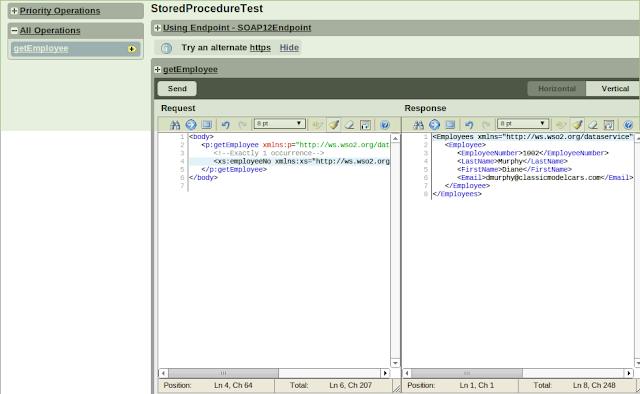 Unpack WSO2 DSS and drop MySQL JDBC driver in <DSS_HOME>/repository/componets/lib folder. 2) Add new Data Source. 3) Click next and Add new Query. Here ? denotes the parameter required for the SQL query. Since we need to have an input parameter for the Data Service lets define it. There are elements in the output result we need to map. There are four output Mappings we need to define and i following screenshot shows adding one of them. After adding all of them, Here how it looks like. 6) Click save and go to next page to add new operation. 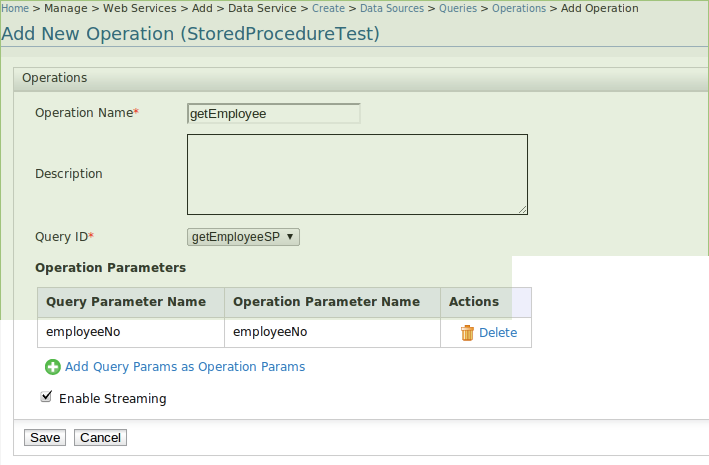 Click on "Add query params as operation params" to add input parameters for operation. 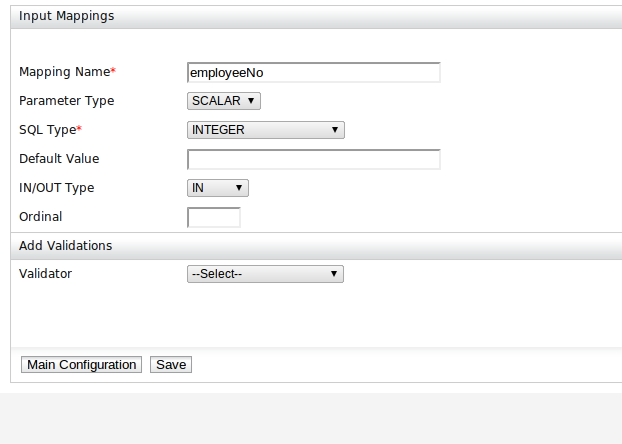 7) Click save and then click finish to deploy the Data Service. After few seconds refresh the web services list to view newly added Data Service. 8) Click on "Try this Service" to test the service. 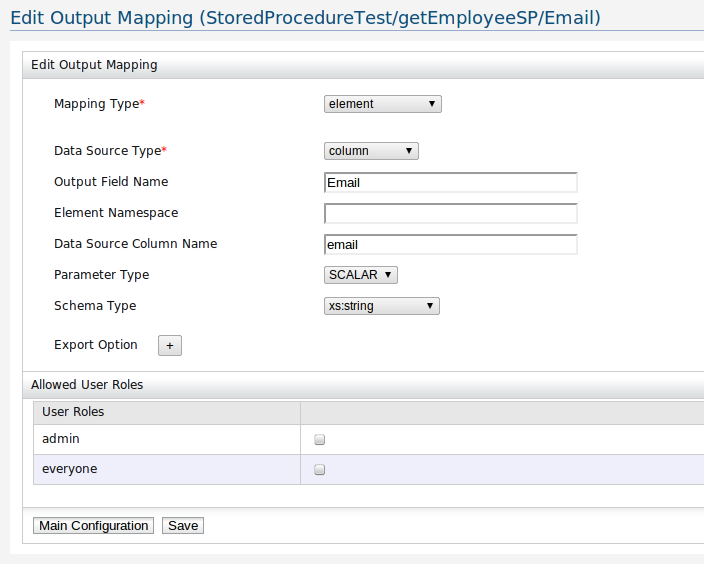 And then test your StoredProcedure exposed as a data service through WSO2 Data Services Server. All, I will also provide the wso2 products solution's and concerns.. Thank you so much..You share now informative effective.. Awesome! Thanks for providing informative article. Bed Bug Exterminator DC It is really a great and useful piece of information. I am glad that you shared this helpful info with us. Please keep us up to date like this. Thank you for sharing. Great blog..You have clearly explained about the MYSQL..Step by step explanation is too good to understand..Its very useful for me to understand..Keep on sharing..
Data base sql and Mysql topics are more important and interested..
Nice blog. You shared nice post. Thanks for sharing. This blog helps me thanku for sharing..
Thanku for sharing mysql store..
Great post! We explain about this information easy understanding.Keep it well works!!! You have done great work with image explanation. Thanks to shared this informative details with us. Keep updating. For intercity relocation, the movers will in like manner offer assurance to shield you from any mischief and in this way it's maybe the best way to deal with move family, auto or office items. I never get bored while reading your article because, they are becomes a more and more interesting from the starting lines until the end. Its really Great. Thank you for this useful content. Computer Virus is a malicious program that has been developed by the team of remote hackers. The main purpose of the virus is to make a huge profit by manipulating innocent users. It silently sneaks into the targeted PC and conducts a series of malevolent activities inside the system. It can block all the system security related program and also open a backdoor to invites other dangerous threat to put the system at high risk. Remove it immediately just after detecting it on the system. I have to thank for sharing this blog,really helpful. You have done a great job by sharing about the sql databases.It is really very useful keep up the good work.